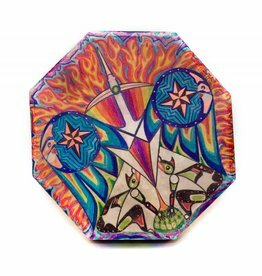 Gyauustees was born on the west coast of Vancouver Island and grew up back and forth between North Vancouver and the Westcoast. 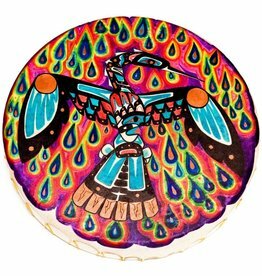 His heritage is Nuu-chah-nulth, Coast Salish, Kwaguilth, and Willps-daxon. 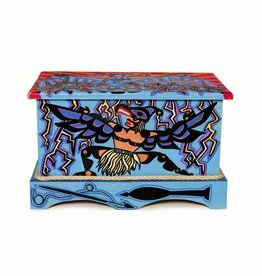 Thunderbird Dancer Chest Painted by Gyauustees (Nuchahnulth). 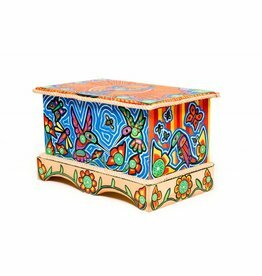 Hummingbird Box Chest Painted by Gyauustees (Nuchahnulth).